We help develop new projects. Helping writers, performers and artists create and produce new work and adaptations for a first look. We encourage and support new artists, and teach what we know…as we have been taught to do. 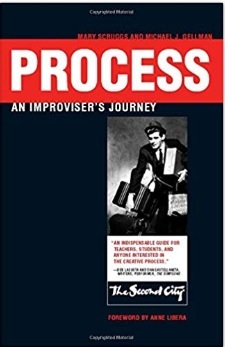 Process Theatre was founded after Michael J Gellman’s book “Process an Improviser’s Journey” written by Mary Scruggs and Michael J Gellman and published by Northwestern University Press. The theatre was formed in order to continue to explore Acting and Improvisational methods to develop new theatre. To date we have produced or assisted with Creditors - Swedish American Museum Chicago , Anna Christie - Act One Theatre Chicago , Echoes of the War- Chicago Parks Commission Theatre and Toronto Tour, 21st Century Sideshow - Stage 773, For Lease Navidad, Tales of Amusement, Johnny and June: That night in London by Deborah Smith (Reading), Binky Petunia by Dan Castellaneta -(Reading), In Exile: by Deb Lacusta - Toronto (Reading). 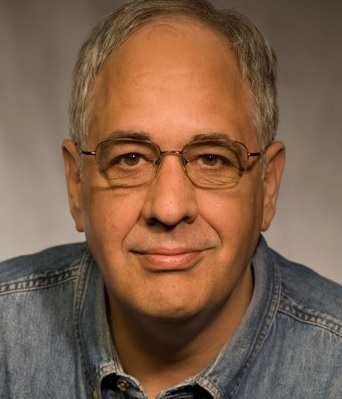 Michael J Gellman teaches Master Workshops for Second City International and Artistic New Directions NYC. He is an alumnus of the Second City mainstage and was a resident director for Second City in Canada and the USA for 25 years. He was Artistic Director of the Second City Toronto where his shows were nominated for 7 Dora Mavor Moore Awards including twice for Outstanding Direction, nominated for Best Director for Chicago’s Joseph Jefferson Award, and won a Chalmers Award for Best Director. He is a senior faculty and founding member of the Second City Training Center where he was a Program Head and also Director of the NY training Center. Michael was an adjunct faculty member at Columbia College Chicago teaching Acting For Directors in the Film Directing department and designed and taught Improvisation and Acting III for the Comedy Studies department. In addition to Second City and Columbia College he has taught and designed classes and workshops in directing, acting and improvisation since 1976 at such notable institutions as: Actors Centre London, The Audition Centre, Victory Gardens Training Centre, Act One Conservatory and Loyola Law School as well as master workshops for hundreds of Universities, festivals, theatre companies and improv groups around the world. He is credited with originating “Long Form” Improvisation and his book “Process: An Improvisers Journey” (Northwestern University Press) co-authored with Mary Scruggs is a summary of his workshops on improvisational training. His former credits include: co-founder and company member of Rendition Theatre, Artistic Associate at Organic Theatre, founder and Artistic Director of Theatre Works and Windy City Workshop and Co-Artistic Director of Wavelength. Since 1969 Michael has worked as an actor, director, writer and stage manager. He is a member of WGAw, AEA, Aftra-SAG, CAEA and ACTRA. Over the past 40 years Mr. Gellman has directed, taught, and/or acted with: Dan Akroyd, John Candy, Bill Murray, Gilda Radner, Chris Farley, Steve Carrell, Steven Colbert, Tina Fey, George Wendt, Del Close, Dan Castellaneta, Charna Halpern, Mick Napier, Armando Diaz, Jimmy Carrane, Mark Beltzman, David Pasquesi, Keegan-Michael Kay, Linda Cash, Pat McKenna, Joel Murray, David Razowsky, Susan Messing, Bruce Pirrie, Kathryn Greenwood, Ron James, Joe Bill and many others. Deborah Smith first studied at Concordia University in Montreal in the 80’s and received her first BA in English Literature. There she developed her love of creative writing, some of which was published while she also wrote for The Link Newspaper. Years later, after working as a copywriter, Deborah travelled to England to study classical acting at LAMDA. She is founder of the St. Lawrence Shakespeare Festival and Scripted Toronto and has written two adaptations of classical work: Anna Christie by Eugene O’Neill and Echoes of the War by J.M Barrie, both produced in Chicago and Toronto. 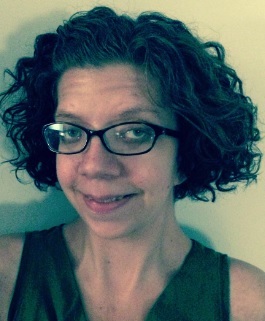 Deborah has also written The Quartermaster which has had several staged readings and is working on Vic Shaw a new Canadian Play. 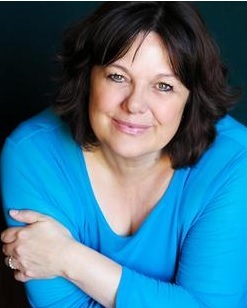 Deborah is a member or CAEA and ACTRA and a writer, actor producer and teacher. In Chicago she performed at The Gift Theatre, Northlight, Chicago Shakespeare, Bailiwick, Victory Gardens, A Red Orchid, Rendition, Strawdog, and in New York at the Courtland Rep, all of which she is eternally grateful. Michel is a Toronto based Designer. His work has been seen or heard in France, Haiti, Brazil and throughout North America at the Teatro Peon Contreras, the Kennedy Center for the Performing Arts, the Lajolla Playhouse, Yale Repertory Theater, the Dallas Theater Center, the American Repertory Theater, the Krannert Center for the Performing Arts, the Cultch, Alberta Theatre Projects, Canstage, Native Earth Performing Arts, Factory Theatre, Tarragon Theatre, Young People’s Theatre, Theatre Passe Muraille, Great Canadian Theatre, Centaur Theatre, the National Arts Centre and many points in between. He has designed over one hundred productions and has been nominated for seven Dora Mavor Moore Awards (Toronto) one Sterling Award (Edmonton) and one Leon Rabin Award (Dallas) Michel also has a significant teaching background and has worked at the Centre for Indigenous Theatre and at York, Laurentian, and Bishop’s Universities. Liz is very excited to be a part of Process Theatre's production of Scripted Toronto! Recent credits including: Sad Blister's (Glass Hammer), More Light (Randolph), Steam Heat (TMP), A Little Night Music (Randolph), AvengerDale (Players Toronto). Liz wants to thank her friends and family who come to support her, even if she doesn’t appear on stage.